*Interchangeable 1/2 and 3/4 cutter spindle. *Router bit spindles accepts 1/4" and 1/2". *Magnetic switch with thermal overload protector. *Large and precision ground cast iron table. 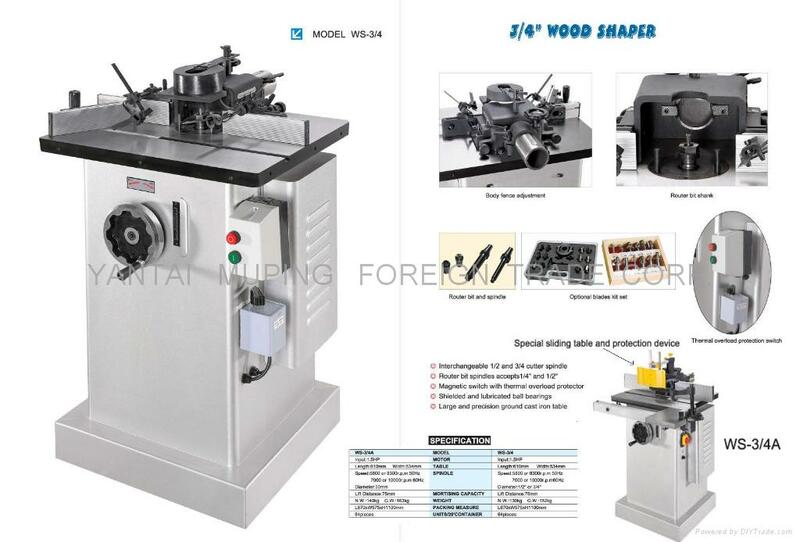 Specifications︰ *Interchangeable 1/2 and 3/4 cutter spindle.